Forgotten by your customers who are using the same plan for ages? Engage them better to create an Interactive experience involving possible unlimited offers from a few base products. Got only a minute? 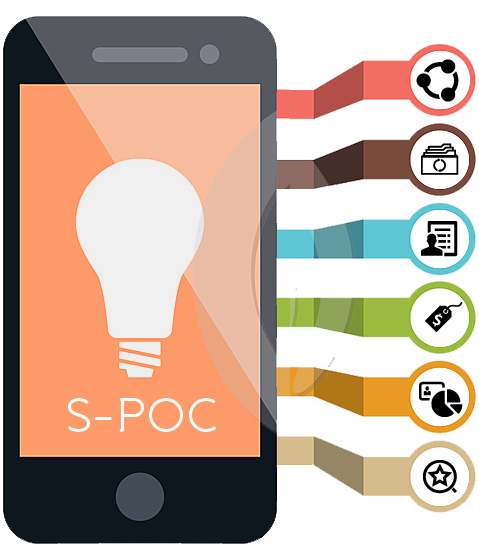 Check out a quick video of what S-POC is all about. Increase revenue with evolving Cross-Selling and Up-Selling possibilities. Cut down on time to market for creating a rich product unified marketplace using own products and those from your eco-system partners. Simplify ordering of selected choices by adapted synchronization to legacy order management system and leverage social networks. Enrich your customer touch points with a revolutionary interface that helps adapt your offerings to your customer's needs. Increase customer engagement, therefore increasing loyalty and maximizing your revenue.